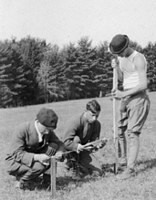 Click on the thumbnail for a larger view of the photograph. 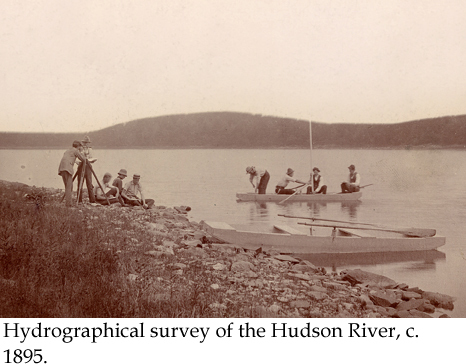 Hydrographical survey of the Hudson River, c. 1895. 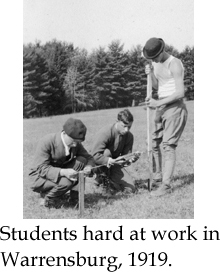 Students hard at work in Warrensburg, 1919. 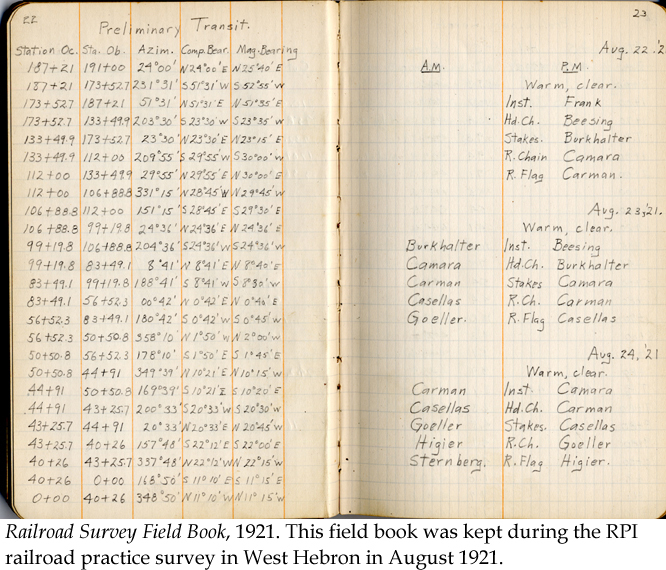 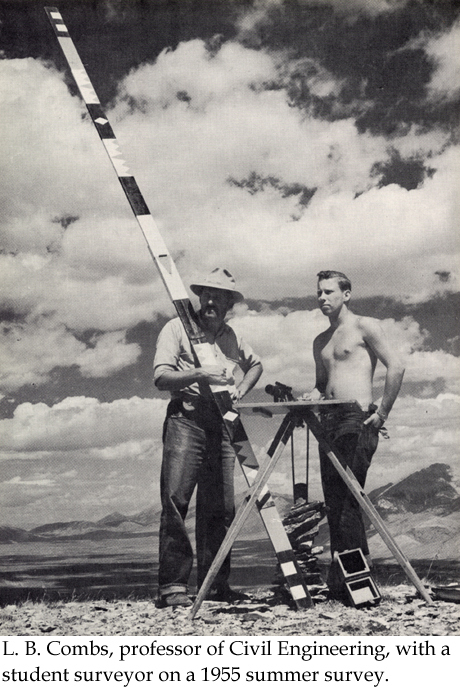 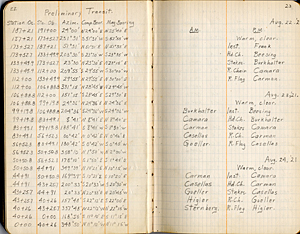 L. B. Combs, professor of Civil Engineering, with a student surveyor on a 1955 summer survey.